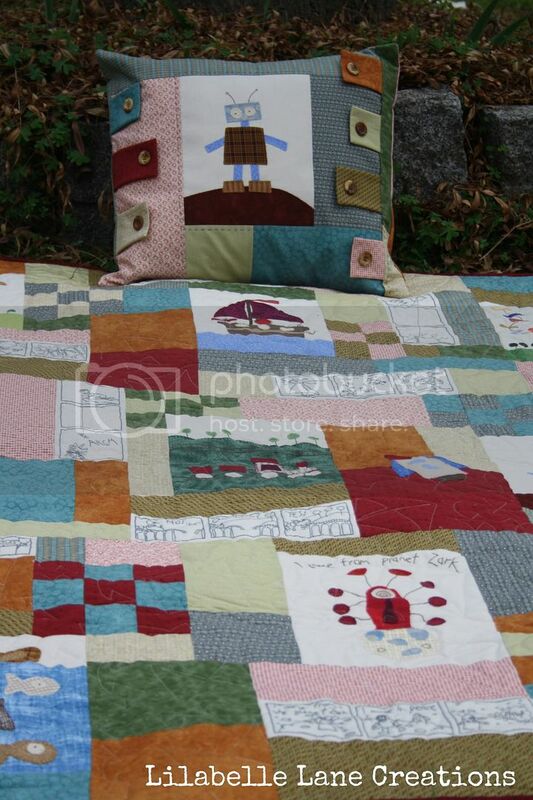 This quilt just makes my heart go all warm and fuzzy. 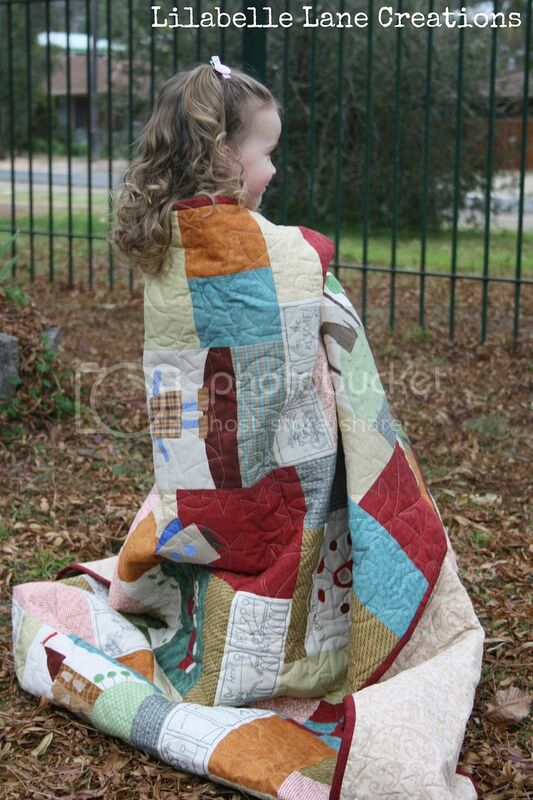 It was a Quilt that I was always going to make ... one day. We left the specialist and went straight to the fabric shop, supplies bought. Home and then some stitchery's were traced. deadline was set. My gorgeous Nephews 3rd birthday - 7th June. 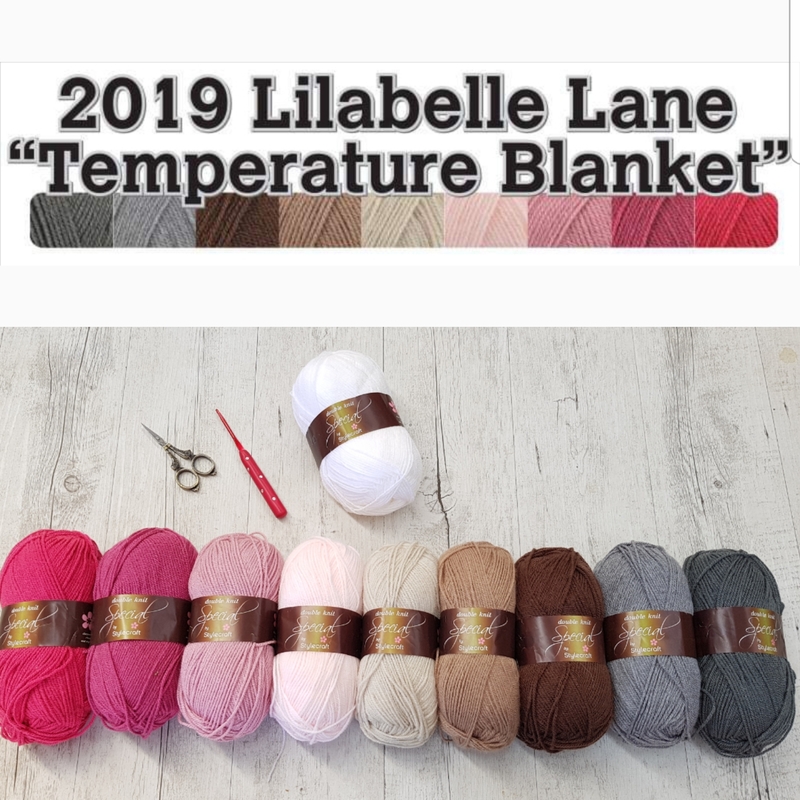 I even put a quilt label on it so it is a real finish! It has been quilted with an all over Kite Pantograph by Linda at Ladybug Quilting. and Lily has finished it off by filling it with cuddles. So and Update on Declyn. "Really Declyn, do you have to play football this year?" "knee injury playing field" as well? Yes he dislocated is patella (knee cap) and has a small tear in his ACL. and I know you joke about it now, but really, both of you at the same time? 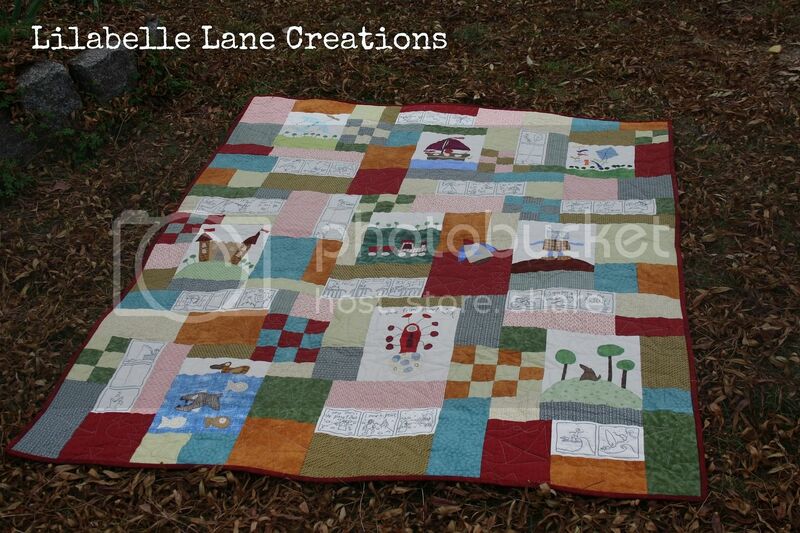 Have to go buy some wrapping paper and a card and get this Quilt ready to mail. Thank you for sharing the journey of this quilt with me. Now what ..... something new? You have done a SUPER job with this quilt Sharon!!! ... And with time to spare!!! LOVE IT!! Well done Sharon! It is fantastic! I am sure your nephew will love it! I am glad your boys are mending well! It's gorgeous Sharon. Great choice with the red binding, it looks so good. As for the boys, well I have 3, and there really isn't much we can do but love them and patch them up! Love. This. Quilt! You've done a fantastic job Sharon. Do love the colours. Pleased your boys are on the mend don't you just wish you could cast some magic spell over boys that let's them have their ruough and tumble.........without the injuries! makes me all warm and fuzzy too. It is absolutely gorgeous even more so now it is filled with cuddles. 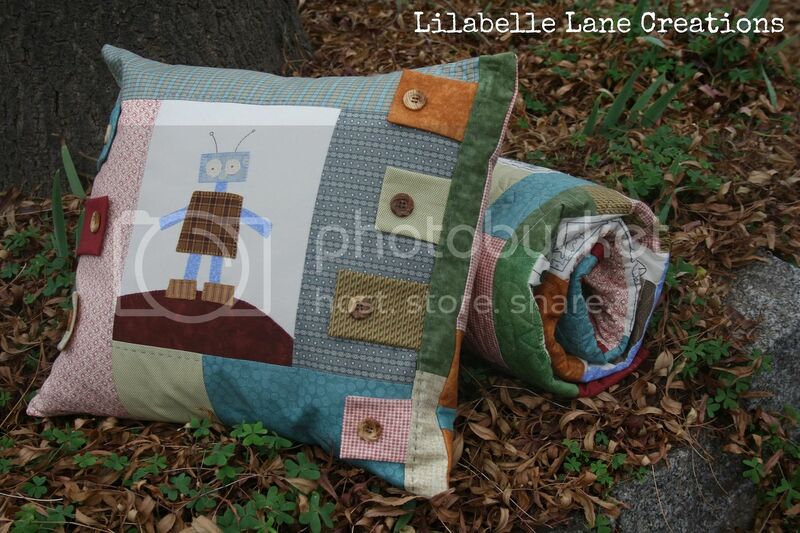 Gorgeous quilt and pillow. Your nephew will surely love it. 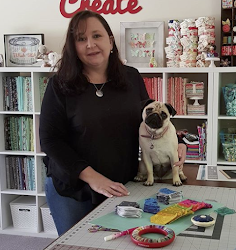 Oh Sharon... what a lovely story to go with the quilt! It will be treasured AlWaYs I'm sure! Love Lily in it too! I Have loved watching this quilt grow Sharon.Its a wonderful job you've made of it,along with the cushion,what a treasure.Miss Lily makes a gorgeous model. Glad the boys are getting better. I have loved watching as you made this, the quilt is stunning. 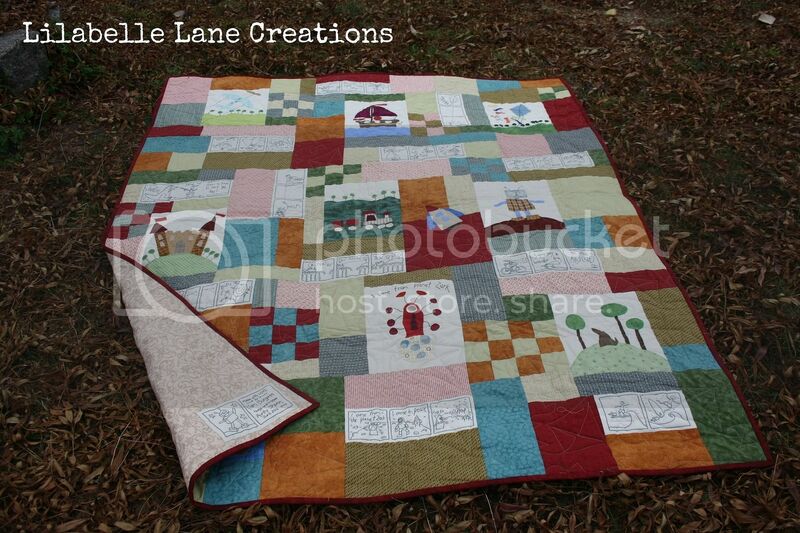 It has a fabulous story, a label and is filled with cuddles what more do you need in a quilt? 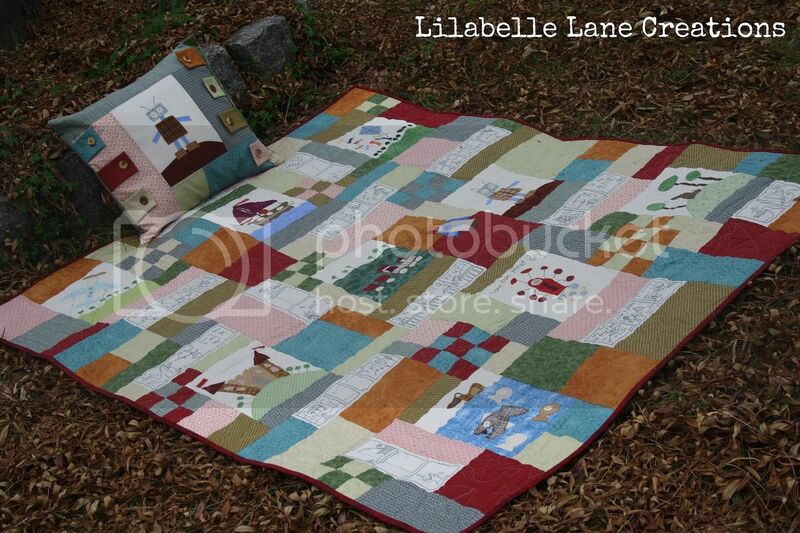 Well done Sharon, the quilt looks perfect and will be such a treasure for Liam. Good to have the update on your sons too, here's hoping the rest of the year is accident free!! 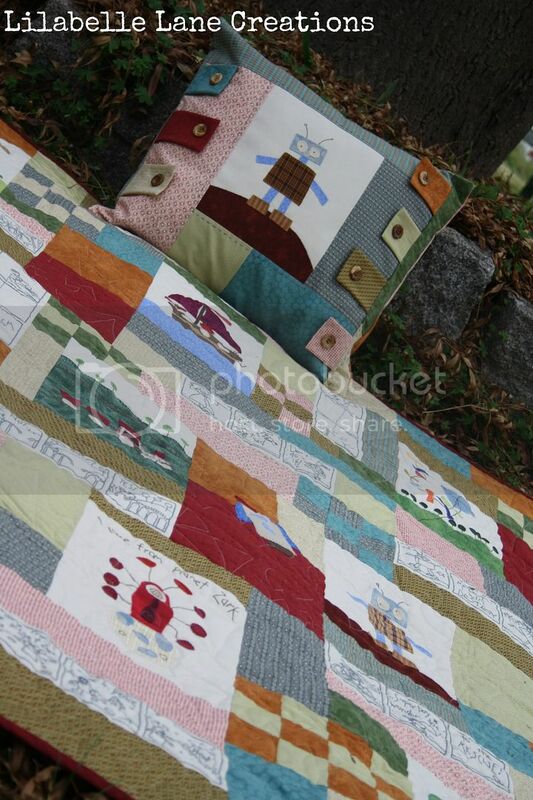 beautiful quilt perfect for little boy!glad to know your son's ok!